This page (together with any documents referred to on it) tells you the terms on which you may make use of our website www.medobay.com (our site) and any services that we may provide to you, whether as a guest or a registered user. www.medobay.com is a site operated by MedoBay Limited, a company registered in England and Wales under number 11480912 with registered office at 71-75 Shelton Street, London, Greater London, United Kingdom, WC2H 9JQ. • Searching for medical centres, clinics, doctors and dentists by location. • Browsing for information on medical centres, clinics, doctors, dental practices and dentists, including the prices for their services. • Requesting an appointment from medical practices. • Booking appointments directly with medical practices. • Providing feedback and comments on our site on medical practices and individual dentists. How to book medical tourism services? Search for your prefered treatment; we will match your treatment with a list of medical packages provided by medical centres and tour operators. A package includes the cost of treatment, accommodation, and concierge services including translators and drivers/personal assistants. By inquiring about a medical package, we will ask you some questions about certain aspects of your treatment; then we will process this information and share the required information with our partner medical centres. The medical centres will notify us of your suitability for the requested treatment and the cost of it. We prepare a quote for you covering your treatment and travel aspects of your treatment. If you agree with the quote, we charge a booking fee to enrol your application with our medical partners and tour operators. On your arrival to the destination, our concierge partner will collect you from the airport, assist you with your transportation and translation services during your stay at the host country. If you want to request an appointment for someone other than yourself, you must be authorised to do so by that person and/or their parent or guardian if they are under 18 on the date of the appointment. • you are responsible for making all payments due in respect of the appointment jointly and severally with anyone else the request is made for. If you are able to select an appointment date and time and complete the booking through MedoBay, your appointment will be confirmed by email. If you complete the request an appointment form, the practice in question will contact you directly to confirm any resulting appointment. Either: (a) the medical centre or doctor will take payment, or (b) you will be able to pay online at the time of booking the appointment. If you pay online through the payment gateway, you agree to be bound by the terms and conditions of use of the payment gateway provider. If you call us or are called by us regarding your booking, calls may be recorded for monitoring and training purposes. In the event of a dispute regarding a booking, we reserve the right to review any call information. You may change or cancel your reservation at any time before your appointment through the site, but if you do so, there may be a cancellation charge or amendment fee levied by the dental practice or dentist. Please refer to the dental practice in question for full details of their cancellation policy. If the medical centre changes or cancels your booking, you can rebook through the site or directly with the dental practice. Please note that we will have no involvement in any dispute between the dental practice or dentist and you about the service or the payment or non-payment of fees. If you provide feedback or comments on medical centres or doctors on our site, you must comply with the content standards set out in our acceptable use policy below. You warrant that any such contribution does comply with those standards, and you indemnify us for any breach of that warranty. We will not be responsible, or liable to any third party, for the content or accuracy of any materials posted by you or any other user of our site. We have the right to remove any material or posting you make on our site if, in our opinion, such material does not comply with the content standards set out in our acceptable use policy below. • Contain any content that is obscene, offensive, hateful or inflammatory. • Prompt, temporary or permanent removal of any posting or material uploaded by you to our site. You must not misuse our site by knowingly introducing viruses, trojans, worms, logic bombs or other material that is malicious or technologically harmful. You must not attempt to gain unauthorised access to our site, the server on which our site is stored or any server, computer or database connected to our website. You must not attack our site via a denial-of-service attack or a distributed denial-of-service attack. Where our site contains links to other sites and resources provided by dental practices and other third parties, these links are provided for your information only. We have no control over the contents of those sites or resources and accept no responsibility for them or for any loss or damage that may arise from your use of them. You may print off one copy and may download extracts, of any page(s) from our site for your personal reference and you may draw the attention of others to material posted on our site. We aim to update our site regularly and may change the content at any time. If the need arises, we may suspend access to our website, or close it indefinitely. Any of the material on our site may be out of date at any given time, and we are under no obligation to update such content. The information and all other material displayed on our site is provided without any guarantees, conditions or warranties as to its accuracy or completeness and we accept no responsibility for any loss or damage that may arise as a result of the inaccuracy or incompleteness of any of such information. The information on our site relating to medical centres and doctors is provided to us by the dental practices. The inclusion of such information on our website is for information purposes only. You understand that we have not conducted quality or other checks on the dental practices and dentists and we make no representations about the suitability of the services offered through this site. The inclusion or offering of dental practices and dentists services by us does not constitute an express or implied endorsement or recommendation by us of such services. Commentary and other material posted on our site by third parties are not intended to amount to advice on which reliance should be placed. We, therefore, disclaim all liability and responsibility arising from any reliance placed on such materials by any visitor to our site, or by anyone who may be informed of any of its contents. If you book an appointment with a dental practice through our site, the obligations arising in relation to the appointment are directly between you and the dental practice and we will have no responsibility to you or the dental practice in the event of the appointment being cancelled or delayed and we will have no involvement in any dispute between the dental practice or dentist and you about the appointment, the service or the payment or non-payment of fees. We take no responsibility for and are not liable for the misrepresentations, breaches of contract, breaches of statutory duty or negligence of any of the medical centres or doctors. This means that in the event of you suffering personal injury, illness or death as a result of any act or omission of a medical centre or doctor (or their employees or agents) or you having any complaint about the quality of the services provided or having any other complaint at all, your sole right of redress will be against the provider of such service and we will be under no liability at all (whether in contract, tort or otherwise howsoever). We expressly exclude all liability for any acts of negligence committed by medical centres or doctors listed on our site whose services you engage. This does not affect our liability for death or personal injury arising from our negligence, nor our liability for fraudulent misrepresentation or misrepresentation as to a fundamental matter, nor any other liability which cannot be excluded or limited under applicable law. We will not be liable for any changes, cancellation, effect on your booking, loss or damage suffered by you or for any failure by the medical centres or doctors and/or us to perform or duly perform any of our respective obligations to you which are due to any event(s) or circumstance(s) caused by any force majeure event. By way of example, a force majeure event includes, but is not limited to, war, revolution, terrorist act, closure of borders, epidemic, natural catastrophe or other causes that seriously affect both parties and other unforeseeable causes beyond our control. 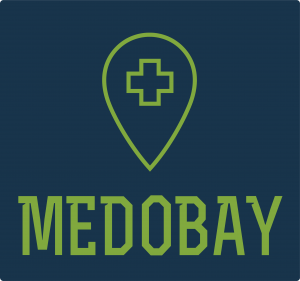 “MedoBay” is a registered trademark of MedoBay Limited.